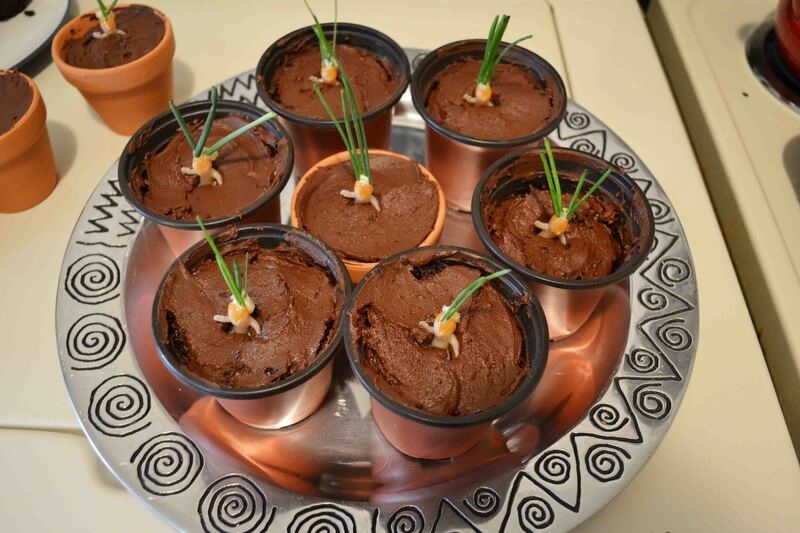 Make mandrake cakes for the most epic Harry Potter party ever! Plus, it’s the best chocolate cake recipe. Hope everyone had a fun Halloween last night! A friend of mine hosted a Harry Potter Halloween party,and it was probably the best Halloween party I’ve ever been to. Actually, it was the best house party I’ve ever been to. My friend Katie threw it, and she has officially won the title “queen of theme parties!” The invitations were amazing, there was decor through the whole house, a potions class, and we even competed for house points! It was, of course, a costume party. 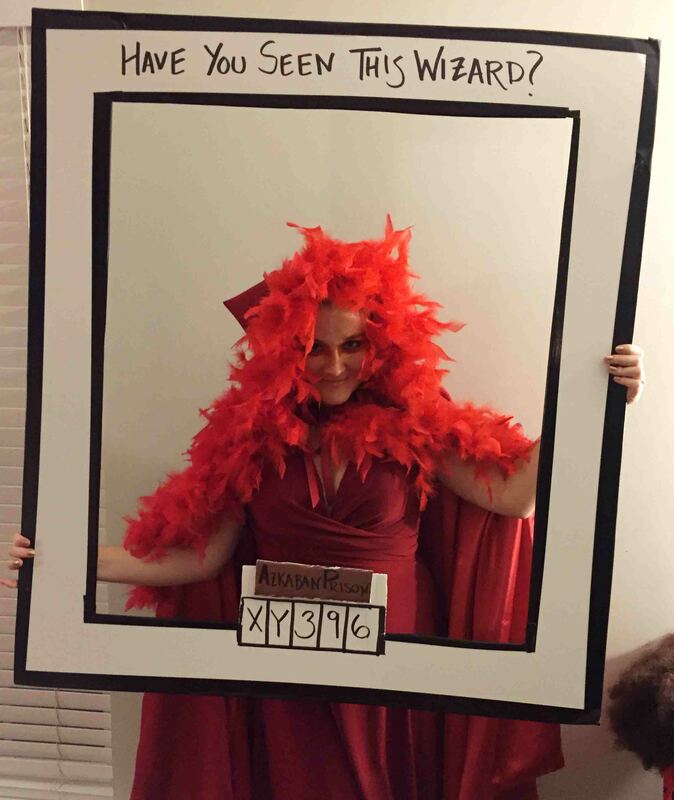 I went as Fawkes the phoenix. It was a really fun costume to dream up, and I spent wayyy too much looking at bird makeup on the Internet. As part of the party, Katie asked some of us to bring some Harry Potter themed food from the books. I chose Hagrid’s Rock Cakes and Mandrake Cakes. 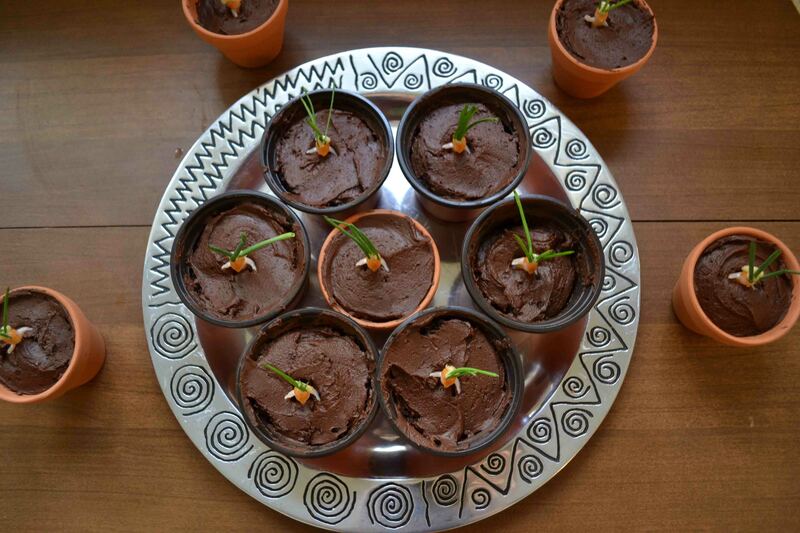 So today I’ll share the recipe I used for mandrake cakes! A note beforehand: I’d had this cake several times before and knew it would be delicious. 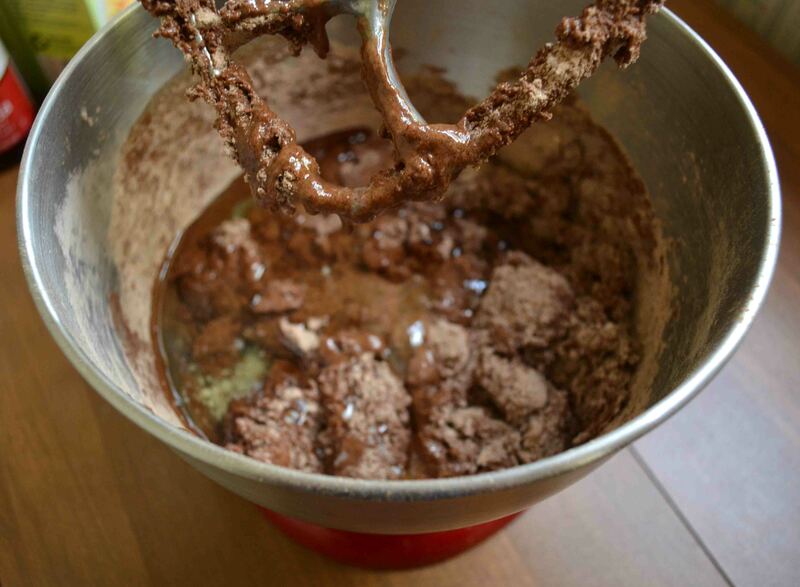 Best chocolate cake recipe I’ve come across. However, I’d never tried it as cupcakes before and it came out crumbly and messy. Best as a cake that you cut. 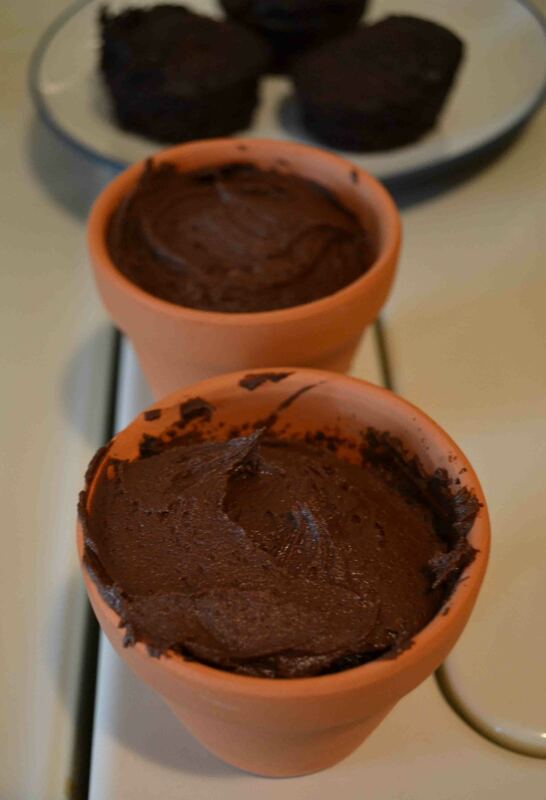 My saving grace was that I put them in mini pots, so it didn’t matter how crumbly they were. 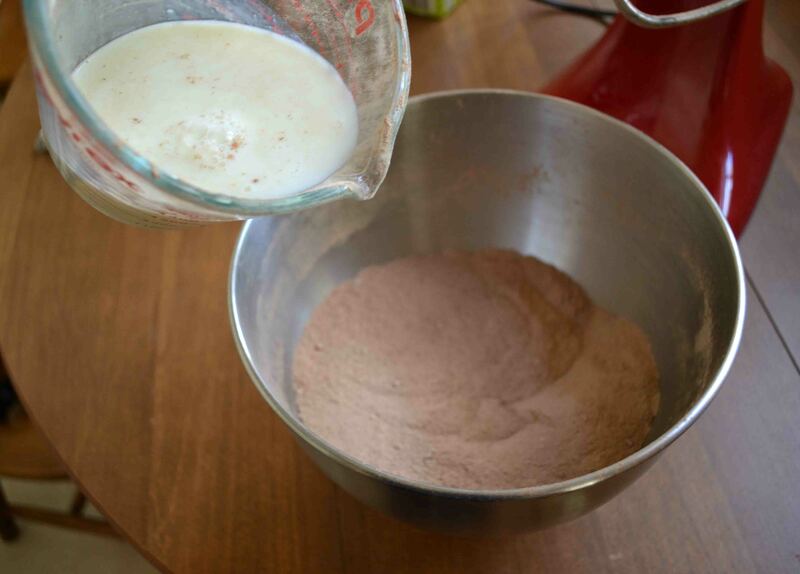 Start with your dry ingredients and mix well. Mix this step well before going forward. But don’t overbeat! Finally, add the boiling water. Mix carefully, don’t want to slosh around too much! The final batter is very liquid, warm and bubbly. 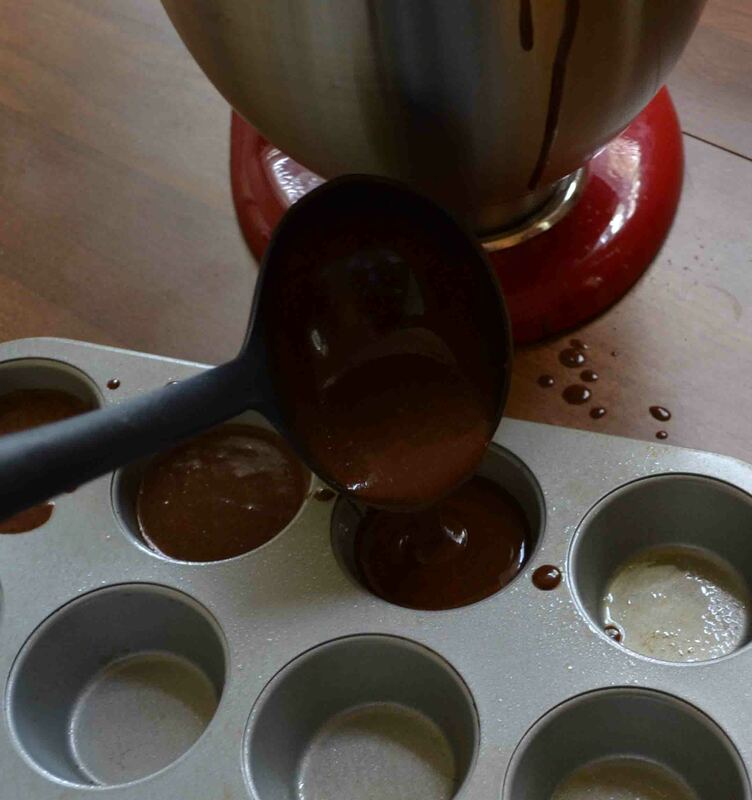 If making cupcakes, ladle into a muffin tin. For regular cupcakes, best to use cupcake liners. 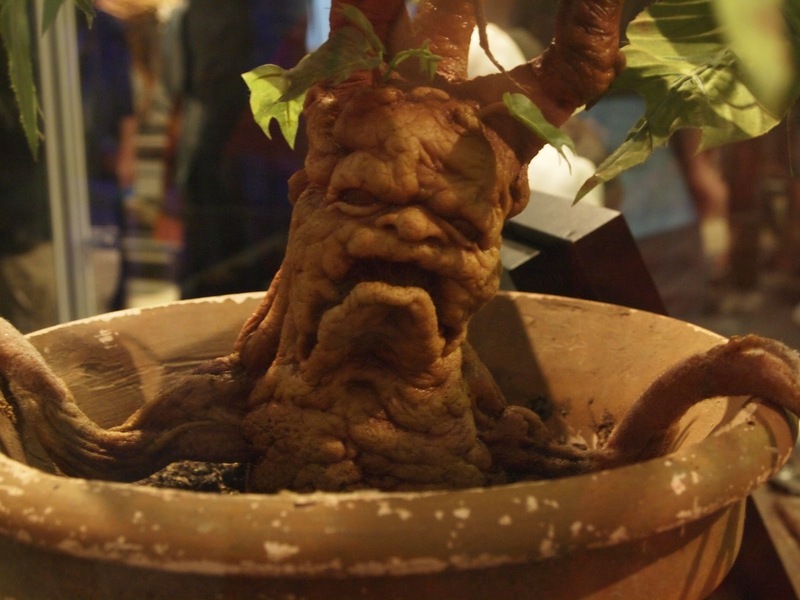 For mandrake cakes in pots, skip that. It gets a little messy. Wipe it up with a paper towel before you put it in the oven for easier cleanup. 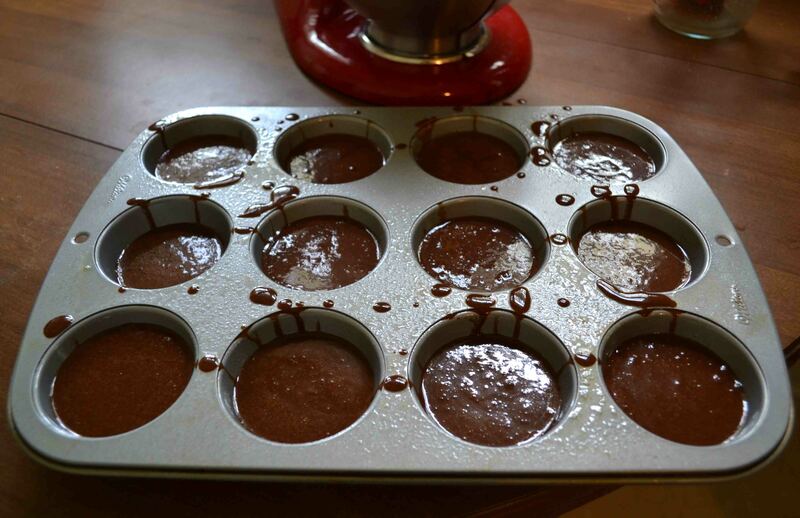 When the cupcakes finished, I let them cool and transferred them to pots. 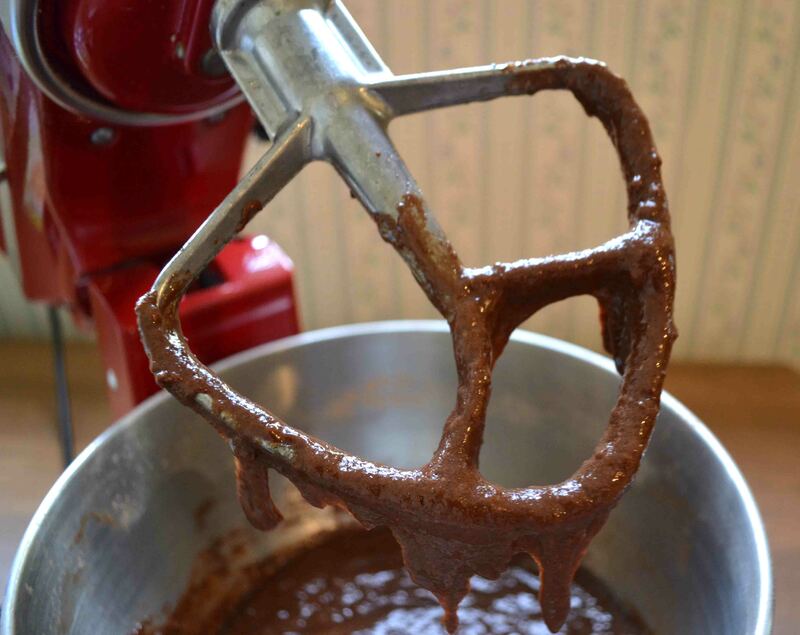 Finally, it’s time for frosting! It’s rich and super chocolate-y, plus has a good dirt color to finish off the mandrake plant look. Then pop the babies into small pots, and you’re good to go! 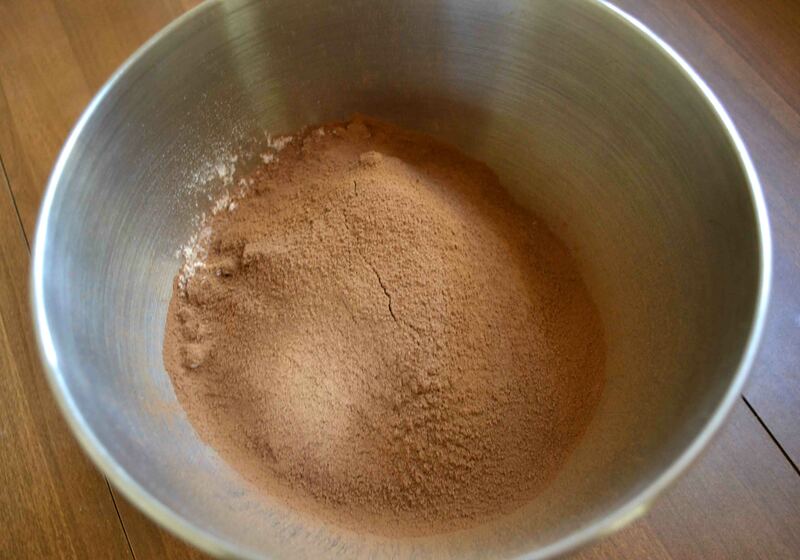 Sift cocoa powder and flour. 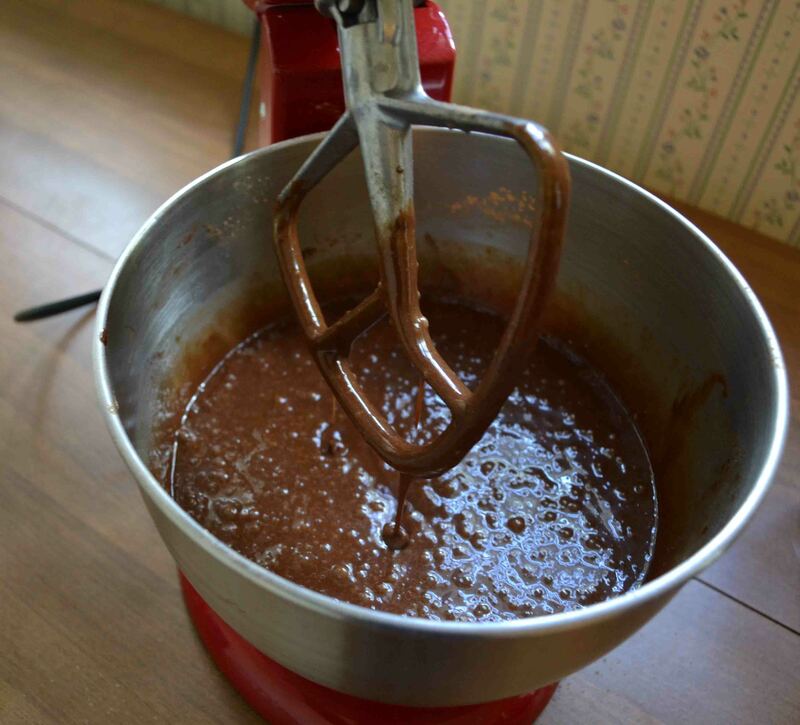 Mix with baking powder, baking soda, salt and sugar. Add to that milk, eggs, vanilla and vegetable oil. 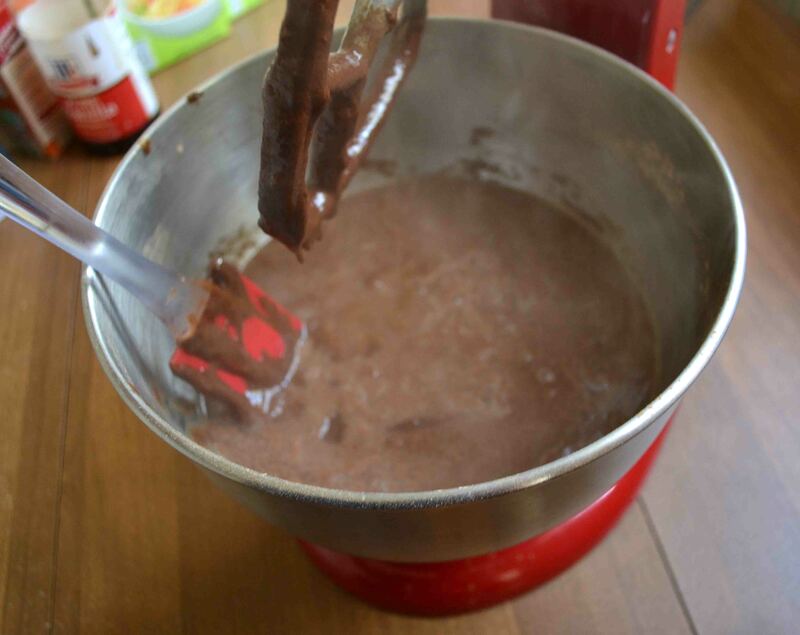 Add boiling water to mixture slowly – otherwise you’ll have a mess on your hands. Once they’re out of the oven, let cool in the pans for 10 minutes, then transfer to racks. Cream the butter. Then add 1/3 of the powdered sugar and mix completely. Add 1/2 the milk and all the vanilla and mix again. Add 1/2 the cocoa, mix. Repeat until all ingredients are in! If it’s too liquid, add more sugar. If too thick, increase the milk. 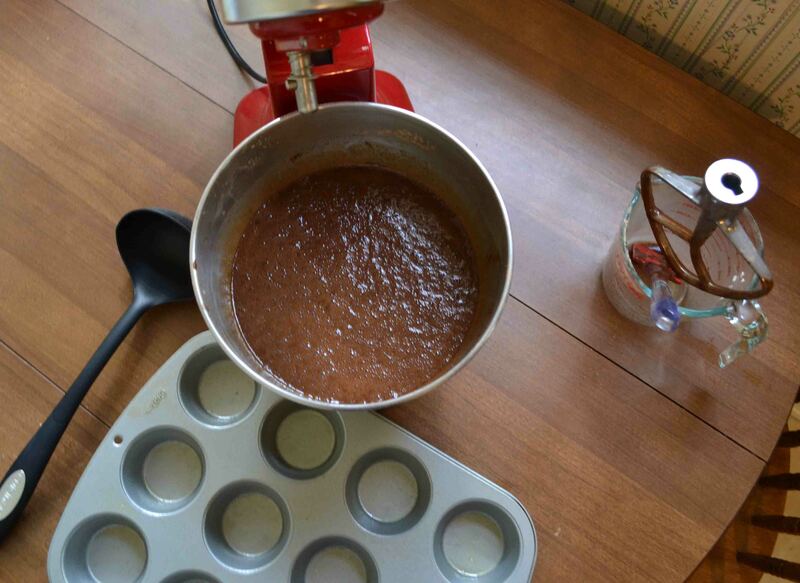 Wait for cupcakes to cool completely, then frost! What’s the best theme party you’ve ever been to? What cups did you use for these? I’m wanting to make the same thing and can not find any cups! 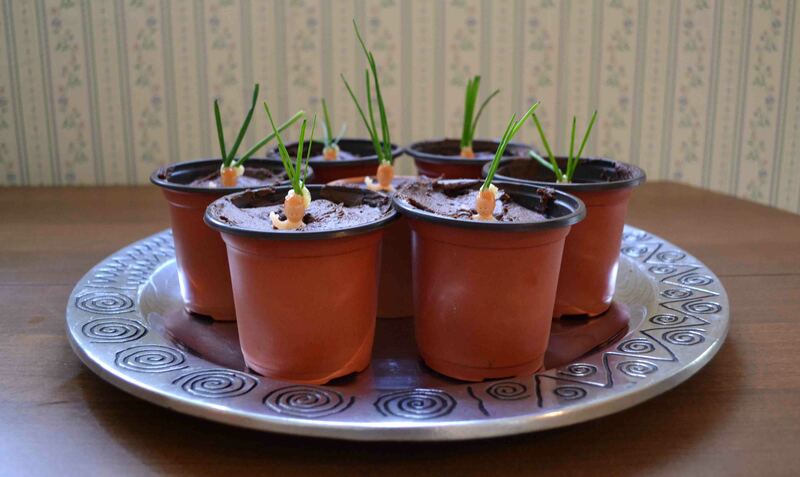 I used actual garden mini-pots! 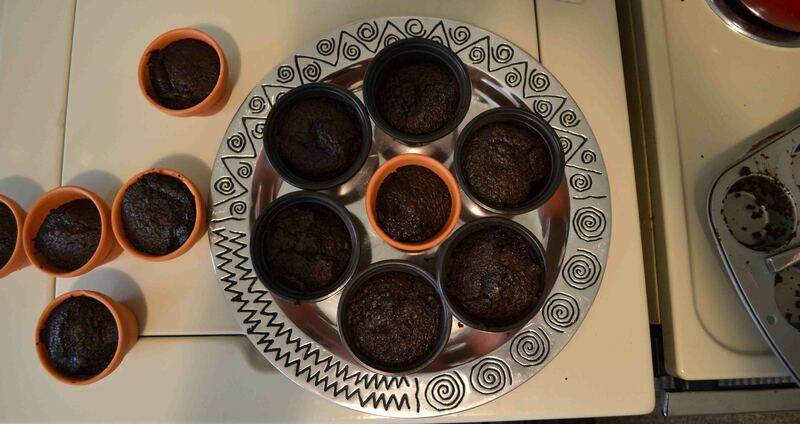 I baked them in a muffin tin, then transferred the baked cupcakes into small herb pots before frosting. I used a mix of plastic and terra cotta ones, but I probably preferred the look of the terra cotta. Try a garden store! Best of luck!